To View the 2019 Call for Entries Categories and Criteria, click here. 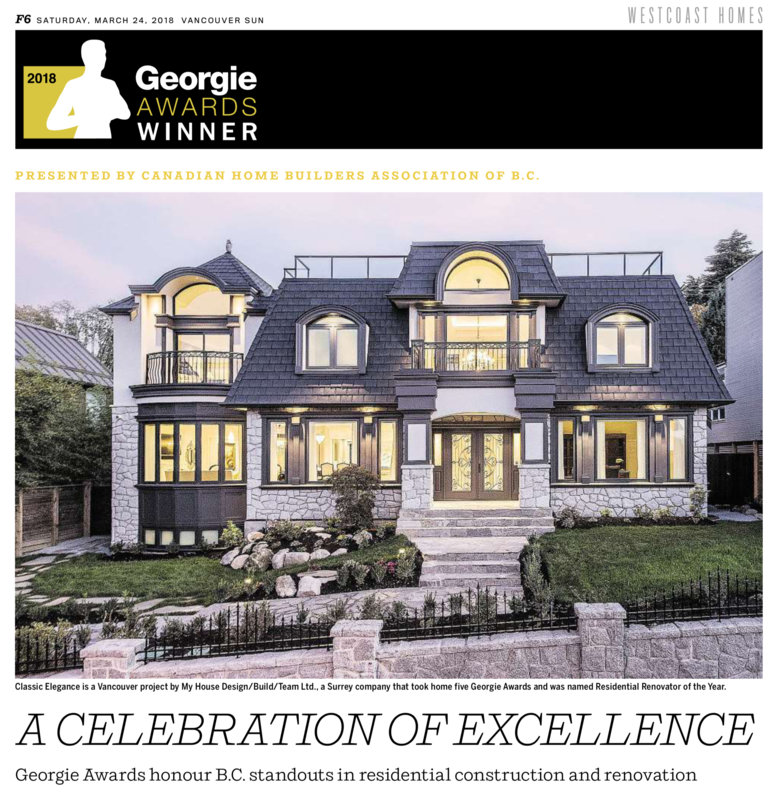 Projects and products built, renovated, developed, created and/or marketed for the period of January 1, 2017 – September 30, 2018 are eligible for the 2018 Georgie Awards®. A building permit must be in place for any pre-sale marketing. For categories 1 through 13, the project must be substantially completed. Any entry in a specific category from a previous year is not eligible to be entered in the same category for this year’s competition; however, a new phase could be entered from the same project (i.e. If you entered Best Townhouse Development last year, Phase 2 of the same development could enter Best Townhouse Development again this year as long as additional phases have substantial differences). Projects being submitted for categories 26-37 must have builders as the primary or associate. The online entry form closes at 8:00 p.m. on Monday, October 1, 2018. All completed online entry forms must be submitted by this time. There will be no extensions.